The only makeup remover I have used is the Neutrogena Oil- Free eye makeup remover. But when I tried this Estee Lauder gentle eye makeup remover, I was impressed. My mom does not wear eye shadow, so she gave me her Estee Lauder makeup case. This was one of the first things that caught my attention. Since I was running out of my Neutrogena remover, I needed another one in the mean time. Luckily for me it was included in the case. It works for all skin types and it feels really soft. It is very gentle and in my opinion it's not sticky or greasy at all! 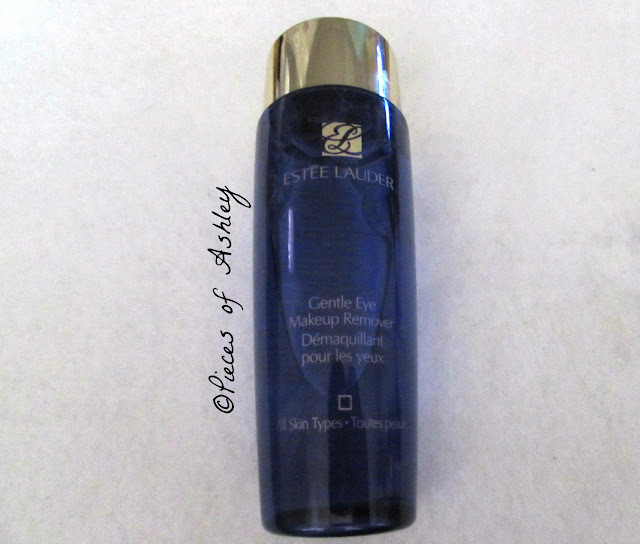 Estee's makeup remover does not irritate your eyes and it works good. Enter my giveaway to win a free portrait sketch Here!! !